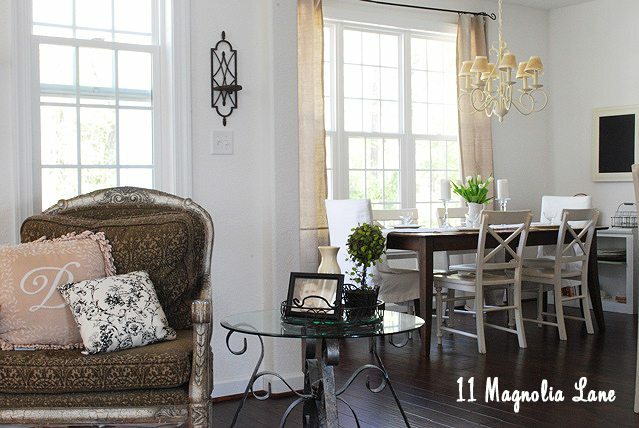 Today the adorable ladies behind 11 Magnolia Lane are here to show off their homes. 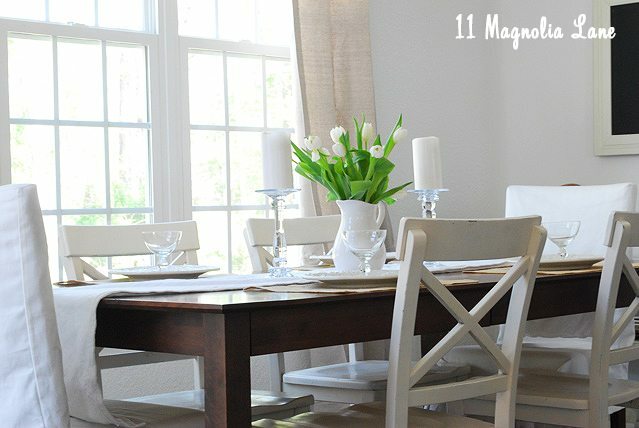 11 Magnolia Lane is a blog consisting of 3 friends (Amy, Christy and Terry) who love to share their passion for home design, decor, recipes, DIY and cooking. 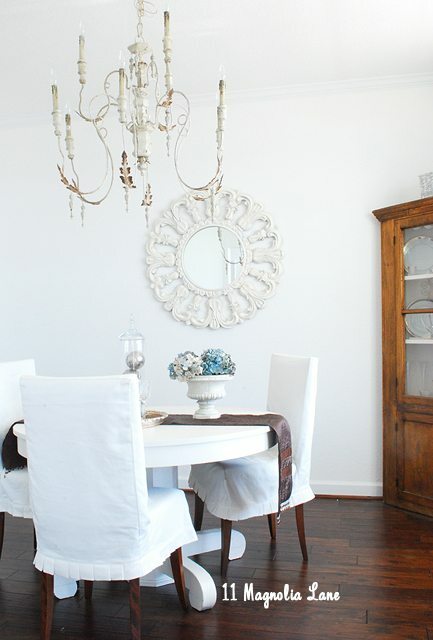 Today's tour features Christy and Amy's beautifully decorated homes. Thank you Amy, Christy and Terry for welcoming us into your beautiful homes!!! Hi! 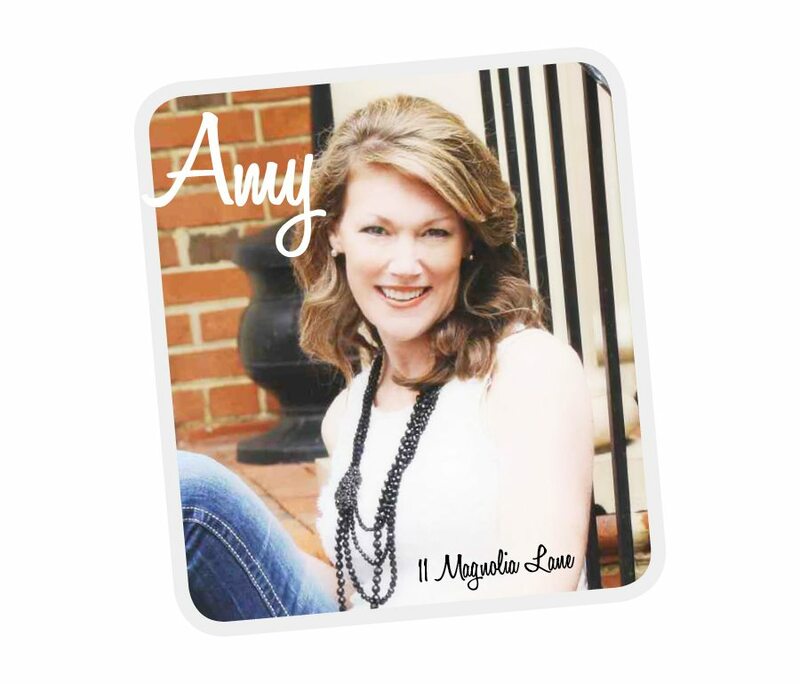 I am Amy and I blog with two other fabulous friends at 11 Magnolia Lane. 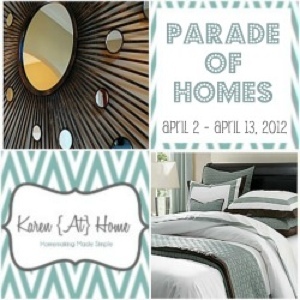 We are thrilled to be participating this week in the Spring Home Tour here at Karen at Home. 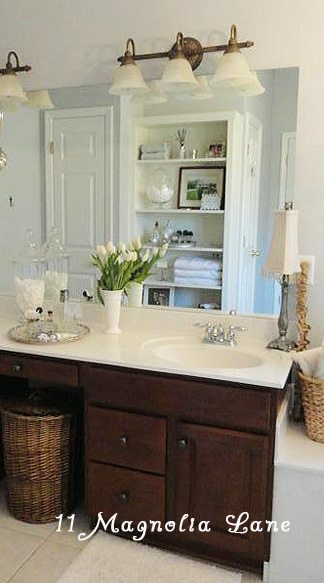 We figured since our Blog is a combination of the efforts of the three of us, we will give you two home tours for the price of one today. Both Christy and I moved this last year, so both our homes are still in the process of being “done.” Christy, being a military wife, has a talent for moving in and making her house look like she has been there for years. Without further ado, here is Christy’s new home. 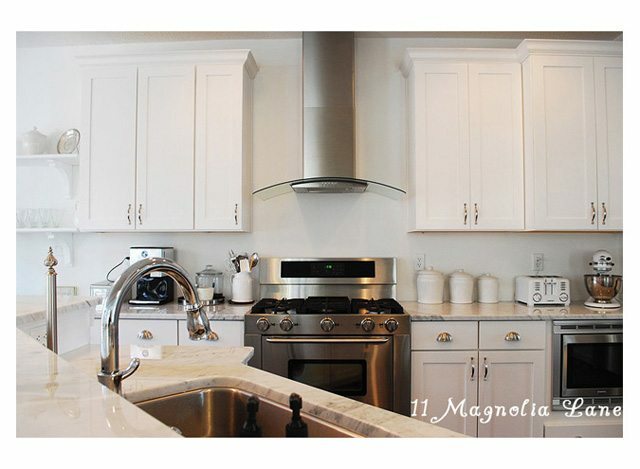 (You can also tour her former home, the gorgeous 1915 home that inspired the name of our blog “Magnolia Lane” HERE). 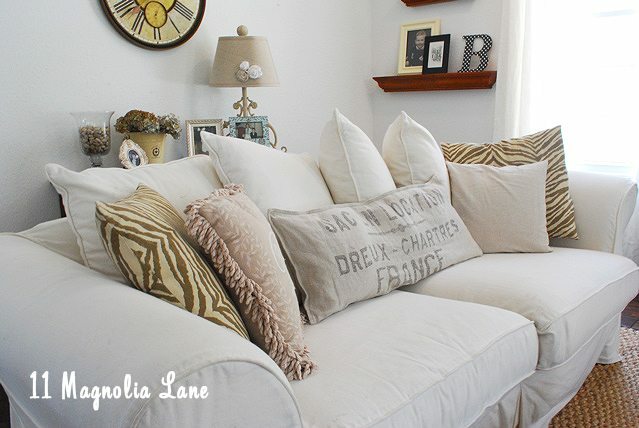 The cushions are switched out with the seasons so there is always something new to see. 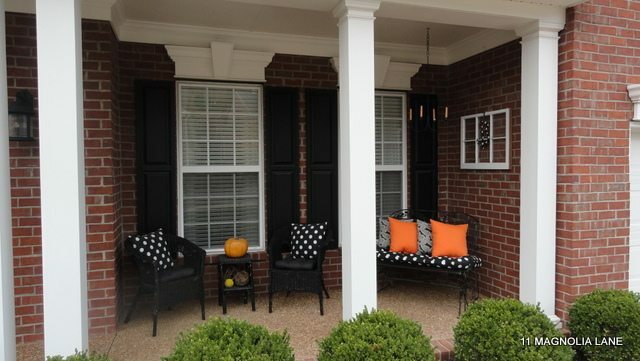 And, here is the winter decor on the Porch. 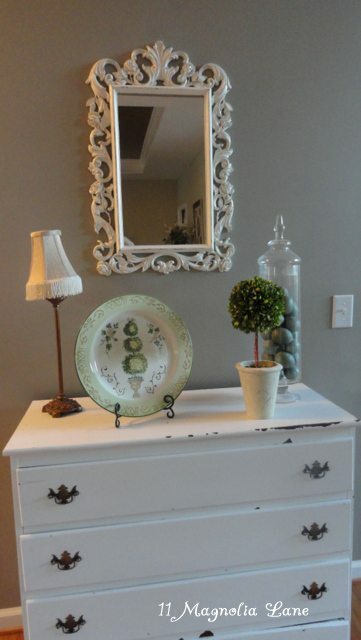 Christy remade this room on $600, click HERE for Part 1 of the makeover, then click HERE for the second generation of the re-do a few months later. The office/sitting room--we just revealed this room this week! Isn't it amazing she has been living there only about 9 months? While it's hard to follow all her fabulousness, we'll now hop over a few states to my new home. We relocated to the coast of Virginia this fall, after spending a long summer waiting for our new house to be built. 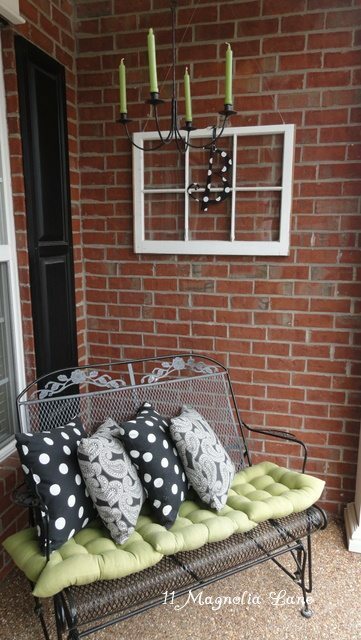 Here is our front porch-- I just decorated it with new cushions for spring. 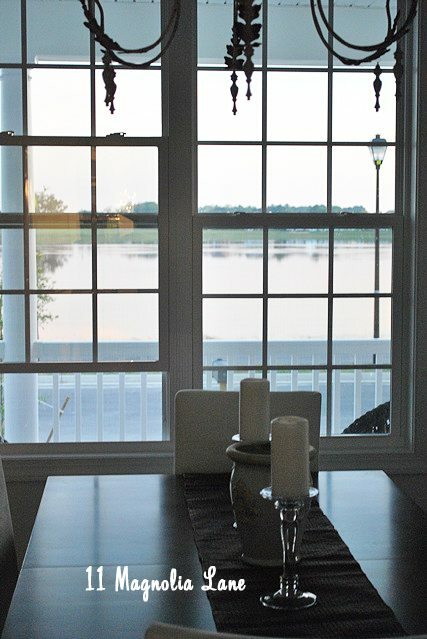 We love our view--we live on a former sand quarry that has been turned into a freshwater lake. We recently switched our dining and kitchen tables, we now use this room more for a quiet coffee room then for entertaining large groups. 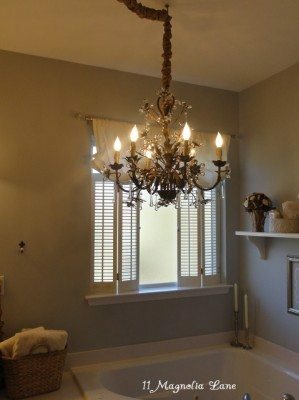 I absolutely love my chandelier in here, it will come with me if I ever move again. I am not leaving it, ever! 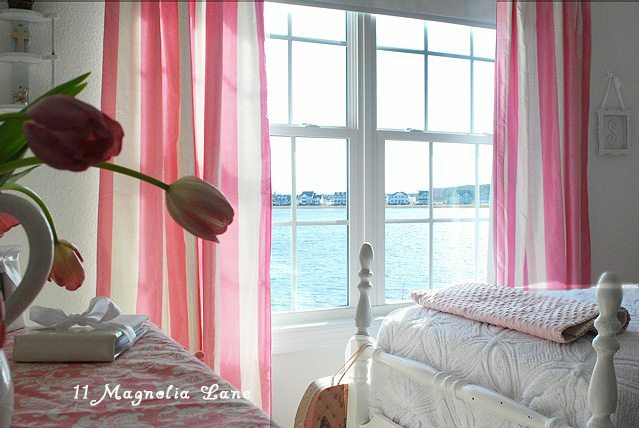 This picture was taken with our former table still in the room, but it gives you an idea of the lake view we also have in this room. 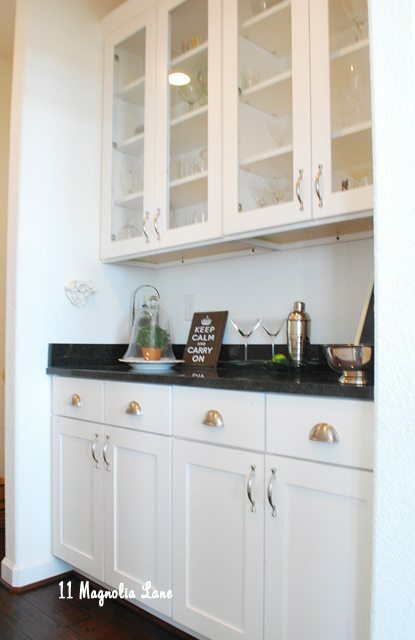 The dining room connects to the kitchen through the butler's pantry (which may or may not have been more important to me than the view when we chose our house, because I always, always have wanted a butler's pantry!). 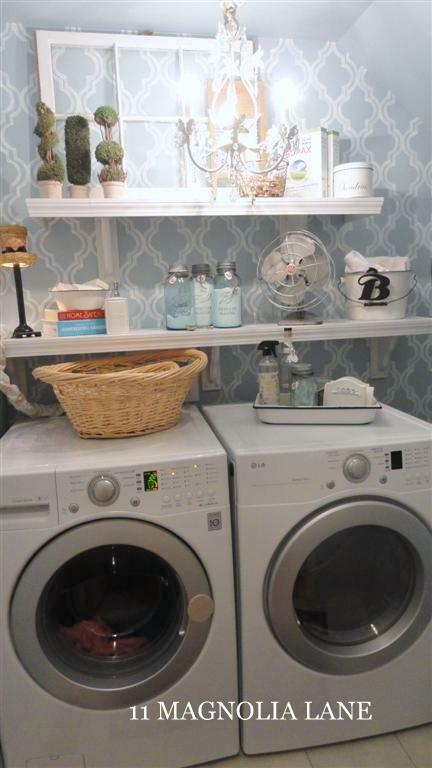 And, here on the other side of the family room, is our well-loved (and often used!) sitting area. 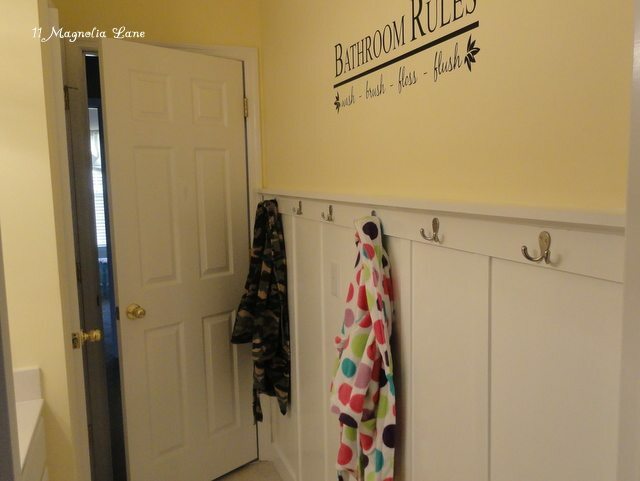 Upstairs you will find my kids' bathroom where I recently added stripes and board and batten. 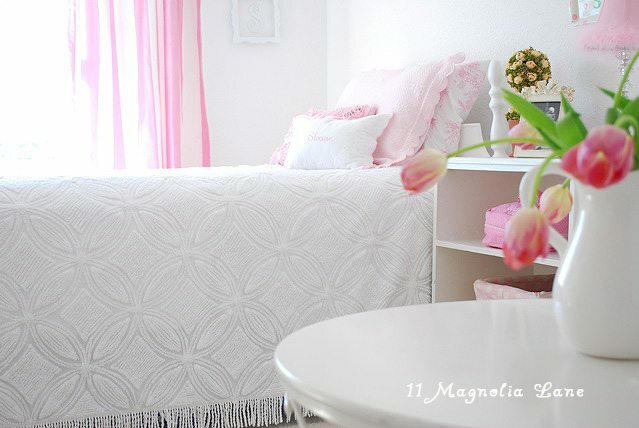 Right next to it is my daughter's very pink room. Thanks for touring! And, a huge thanks to Karen for hosting us. 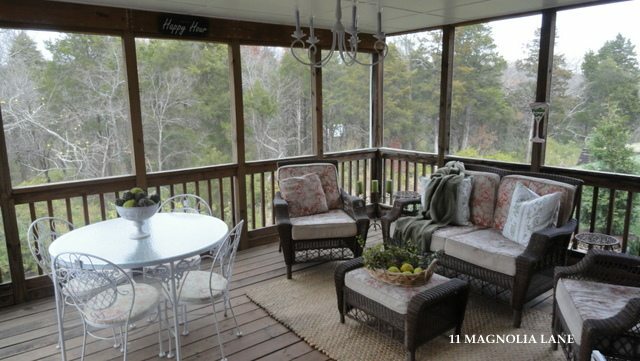 If you would like to see more of either of our homes, please visit us over at 11 Magnolia Lane. Love Magnolia Lane too! Gorgeous rooms here. 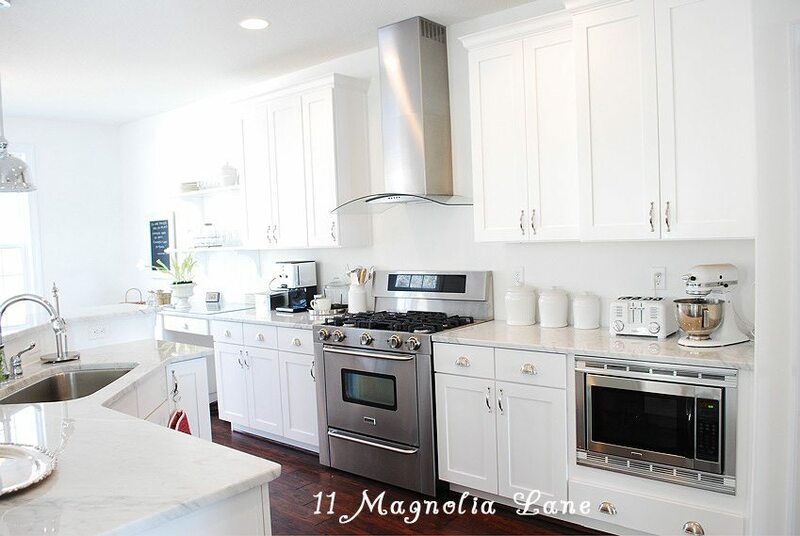 I'm in love with the white kitchen. Your house is BEAUTIFUL! I love everything about it - especially the view! 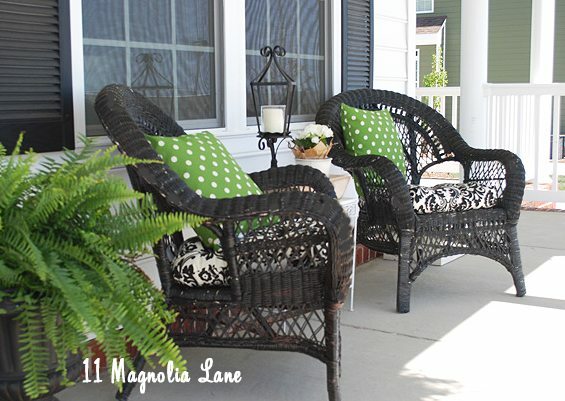 Love 11 Magnolia Lane! 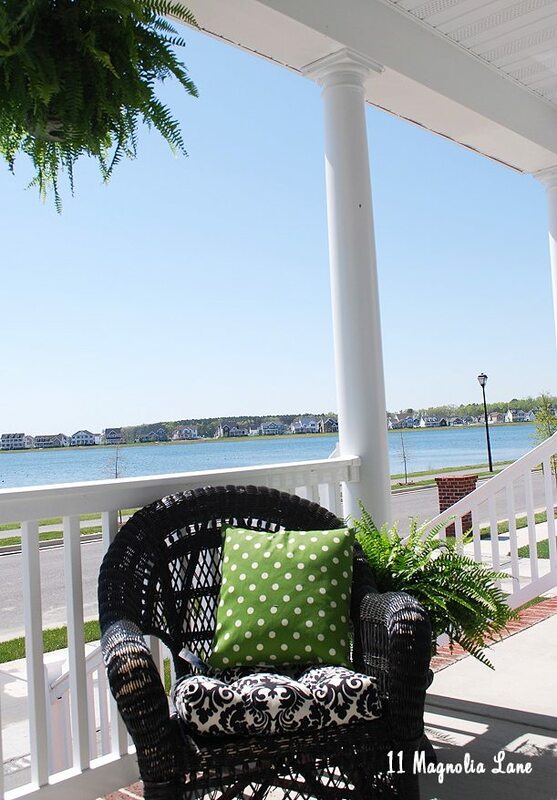 But I didn't realize her house had that gorgeous Lake view - now I'm just flat out moving. Must live on a lake. Now. 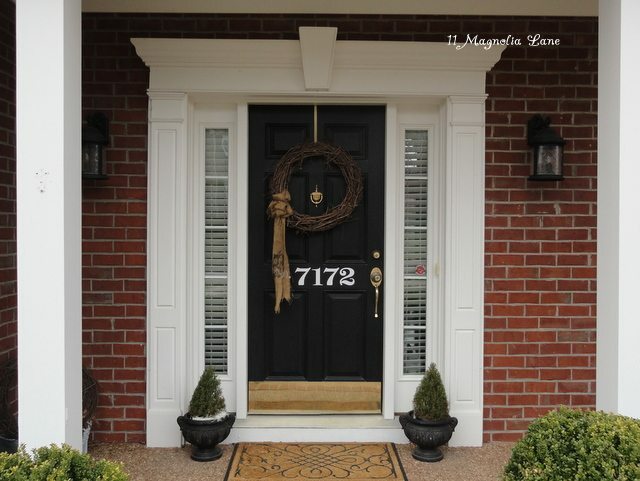 I would love to know where that grapevine wreath came from on Christy's front door! Hey Brittany--I can answer that question for you. :) It's just a plain old grapevine wreath from the craft store. I made the burlap bow by cutting a long strip off a feed sack and securing it with florist wire. Hope that helps. Glad you like it! Thanks Christy! 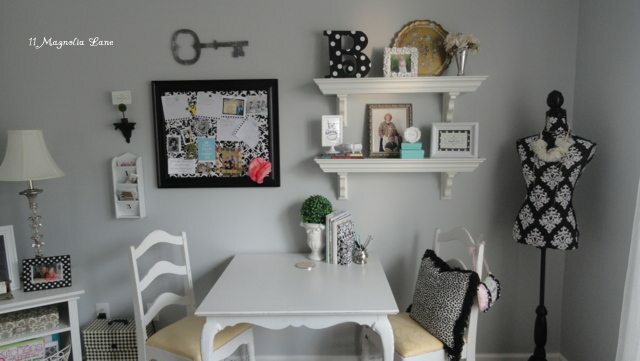 It's super cute - off to Hobby Lobby this week! Pretty houses! 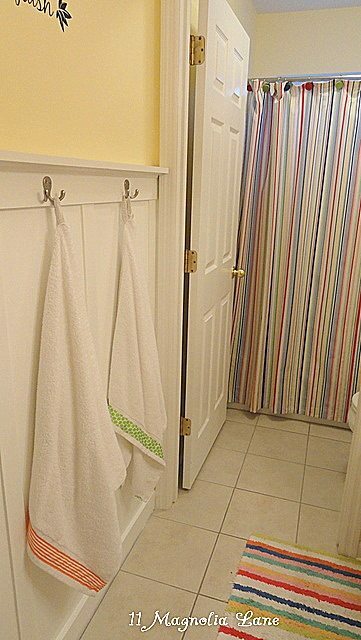 Love the blue laundry and the stripes in that 2nd bathroom! 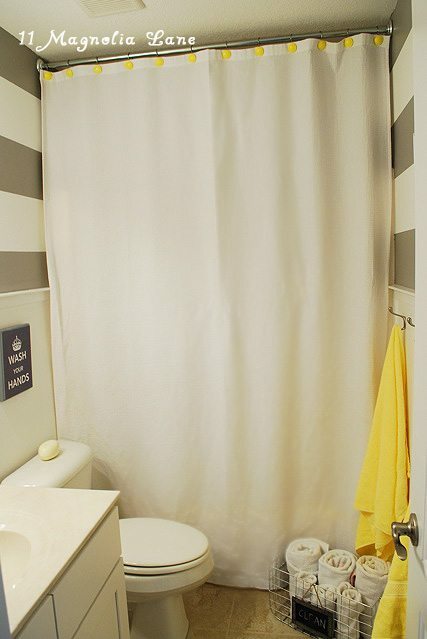 Wow, at that lake view, too. 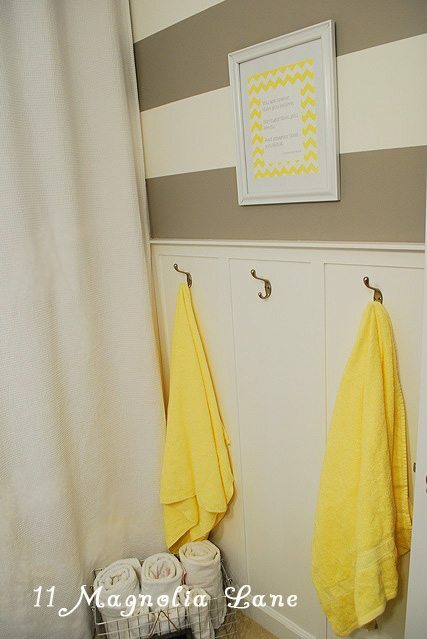 It's funny how I would not choose those wall colors from the first home, but I LIKED them all so much. What a treat. 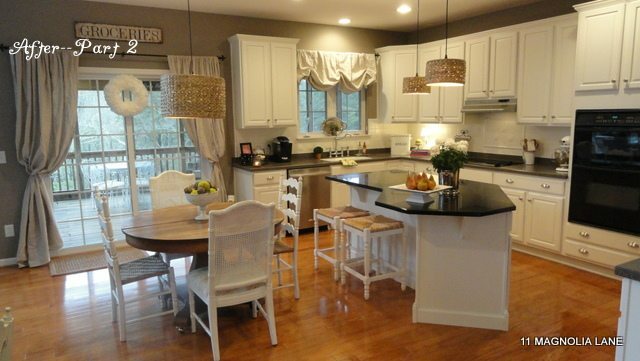 Kitchen one and kitchen two are different, but equally lovely! What gorgeous homes. Thanks so much for the peeks! Can you be in love with a house???? Oh my goodness...these ladies have so much style! I'm gaining inspiration by the second! What a great house! The views are amazing! Karen, I'm so enjoying this series!! this is amazing!!!! The colors...the views....breathtaking!